Struggling bank Citigroup Inc. said Tuesday that it will lower mortgage payments for some homeowners for three months as part of a new program to help the unemployed. The bank, one of the largest in the U.S., makes the move as President Barack Obama looks to lenders to adjust the way loans are handled. Citigroup's new mortgage efforts also come on the heels of the latest attempt to bail out the company, which includes the U.S. government's exchange of up to $25 billion in emergency bailout money given to Citigroup for as much as a 36 percent equity stake in the company. The deal between the Treasury Department and Citigroup represents the third rescue attempt for the bank in the past five months. Unemployed homeowners who may qualify for assistance from Citigroup under the Homeowner Unemployment Assist program include those that are 60 days or more past due on their mortgages or in foreclosure and can pay the reduced amount. The program would lower mortgage payments to an average of $500 a month for three months. "Our Homeowner Unemployment Assist program is intended to serve as a bridge toward a longer-term solution, helping homeowners stay in their homes and in their communities while they get their feet back on the ground," CitiMortgage Chief Executive Sanjiv Das said in a statement. 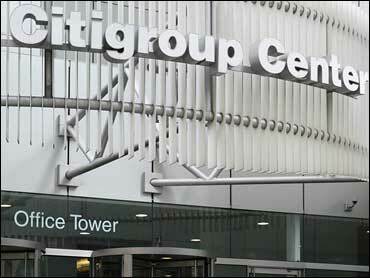 Citigroup predicts thousands of homeowners may be eligible for the program over the next two years. Those in the program who are still without jobs after three months will have their mortgages handled on a case-by-case basis to come up with the best payment option, Citigroup said. Others that find work within the three-month period can go back to paying their original mortgage amount or receive a long-term loan modification if qualified. The program may also be expanded to include customers that are in early delinquency stages or are current on their mortgage at a later point in time once an initial evaluation of the program is complete. One of the hardest hit banks by the ongoing credit crisis, Citigroup is in the process of shedding assets and cutting staff as it looks to reduce costs and streamline operations ahead of splitting its traditional banking businesses from its riskier operations. In January the company reached a deal to sell a majority stake in its Smith Barney brokerage unit to Morgan Stanley.